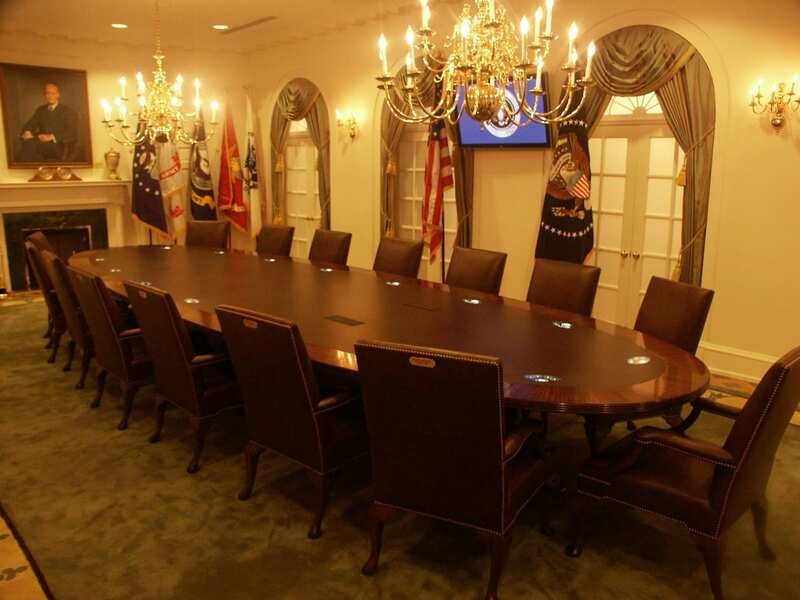 President Ford’s cabinet room in Grand Rapids, Michigan, features a replica of the White House conference room. Mad designed and installed the system to create an interactive experience for visitors, and to allow the conference room to be used… as a conference room. One of the interesting points of this project was that the original brief was to use red plastic buttons in the table – but the table was built by Kitcheners, the same company who built the original, to the same specifications, so it was really not acceptable to do so. We therefore used our laser in anger for the first time, and developed an oval touchpad to reflect the overall shape of the table itself. We then worked with Kitcheners to have them prepare the table for the required number of touch pads around the table to make sure that the end result would be visually pleasing. 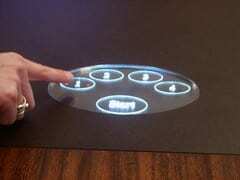 Five touchpoints are available per position, and one of the touch pads doubles as a controller for when the room is being used for conferences.